Mr. Sándor Kusai was born at Szeghalom in Hungary on November 4, 1959. 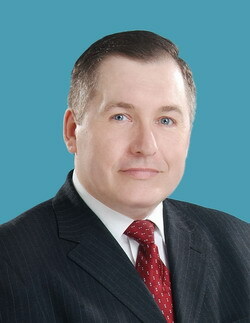 He was appointed the Ambassador of the Republic of Hungaryto the People’s Republic of China in 2008. The following list chronicles Mr. Kusai's career as a diplomat. Handout file photo of Sándor Kusai, theAmbassador of the Republic of Hungary to the People’s Republic of China. 1979-1985 Mr. Kusai studied at the Moscow State Institute of International Relations and graduated as expert of international relations. 1997-2000 He came back to China and worked as the Head of the China Desk, and later Deputy Director General of the 5th Territorial Department of the Ministry of Foreign Affairs of the Republic of Hungary.